You can greatly reduce your travel expenses when you take advantage of a travel rewards credit card that has an option to either credit back your baggage fees or offer free checked baggage fees when you use the preferred credit card for that Airlines and or frequent flyers program. 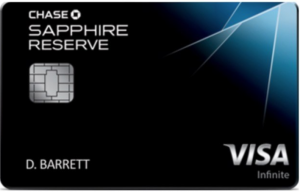 The Chase Sapphire Reserve card offers a $300 annual travel credit when you use your card for purchases in the travel category. The definition of annual according to Chase is the year beginning when your account was opened through the first statement date after your account anniversary. And then for each year after that is 12 monthly billing Cycles from that date. So any purchases that you make related to traveling including charges for your baggage fees will be credited up to $300 each year. They also offer trip cancellation and trip Interruption insurance if your trip is canceled or cut short by sickness weather and other coverage situations. You can learn more via the details on the website. Another added perk is complimentary airport lounge access and Global Entry or TSA PreCheck fee credit. United baggage fees get free checked bags with eligible United Chase cards. The Explorer card offers the first standard checked bag free with the second checked bag paying the standard service charge. A savings of up to $120 per round trip. For the Club Card and the Presidential Plus(SM) card the first and second checked bag are free. With a total of up to $280 per round trip in savings. The free checked bag offer is good for the primary card member and one companion traveling on the same reservation. 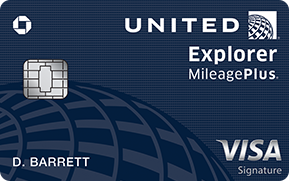 You must include your mileageplus account number in the reservation and use the qualified United Chase credit card when purchasing tickets to be eligible for the baggage fee credit. The fee credit is for the standard baggage fee. Which usually means they must be between a certain weight and size restriction. Otherwise there may be additional fees. The Citi American Aadvantage miles credit cards get you your first checked bag free and up to four people (up to eight people with the Citi Aadvantage Executive World Elite MasterCard) traveling with you on American Airlines domestic itineraries. So yes your friends will love you when they travel on the same itinerary as you and you book your flight using your American Express Aadvantage credit card to purchase your ticket. You also get preferred boarding on any American Airlines flights. No foreign transaction fees on purchases. When you book a flight to select destinations on American Airlines operated flights you can get up to 7500 fewer miles was reduced mileage Awards.